How to Transfer Photos to Your Computer? 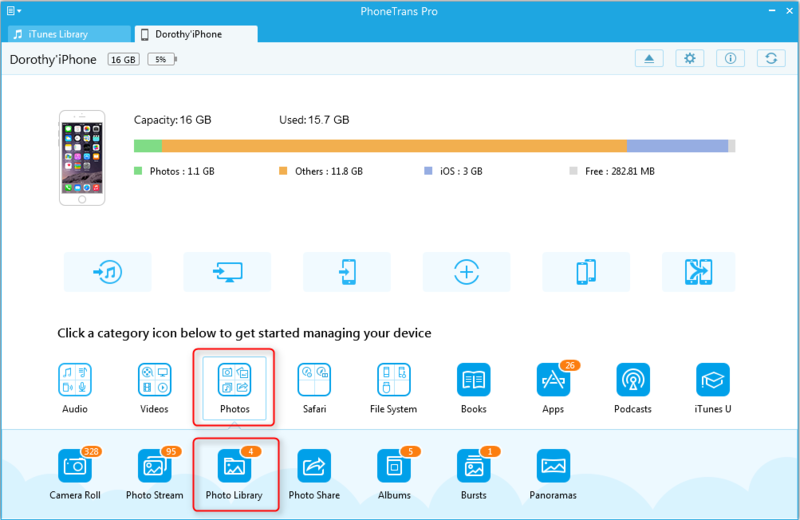 PhoneTrans Pro enables you to transfer all your precious photos or some of them, including camera roll, photo stream, photo library, photo share, panoramas, albums. It makes you move photos from your device to your PC & Mac. Please refer to the tutorial below to start transferring photos to computer. Step 1: Open PhoneTrans Pro after connecting your device to computer. 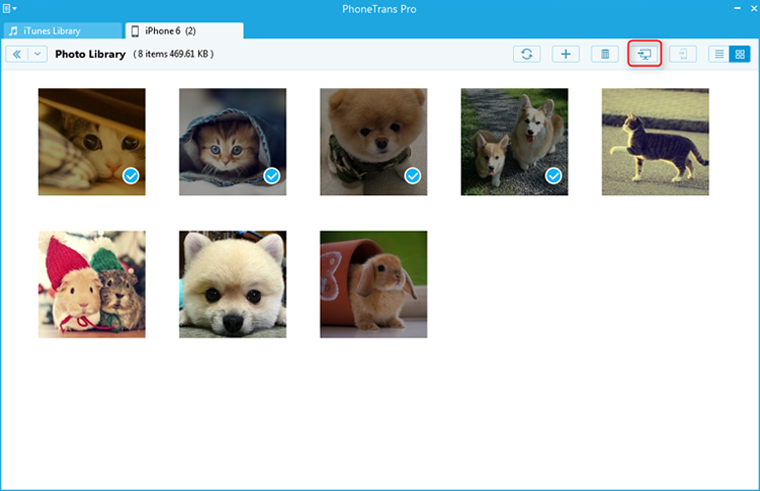 Step 2: On the homepage of PhoneTrans Pro, select Photos to enter the photo manage page. Step 3: Select the items you want to transfer, and click on the top-right corner to start transferring your target files. 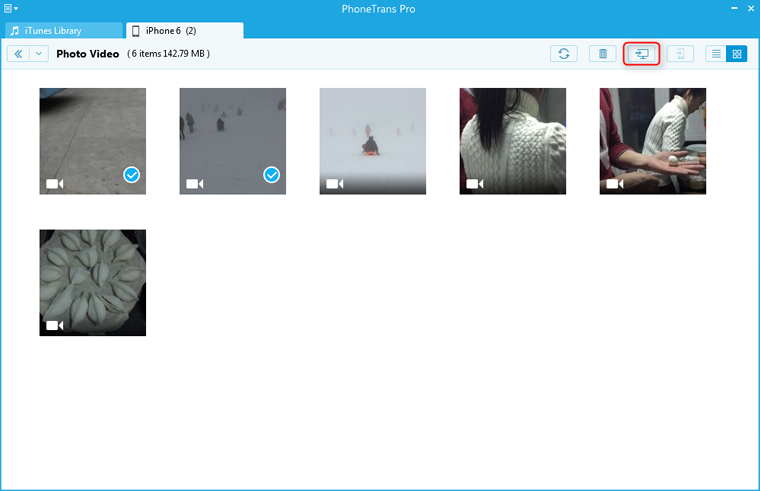 How to Transfer Videos and Other Media Files to Your PC & Mac? 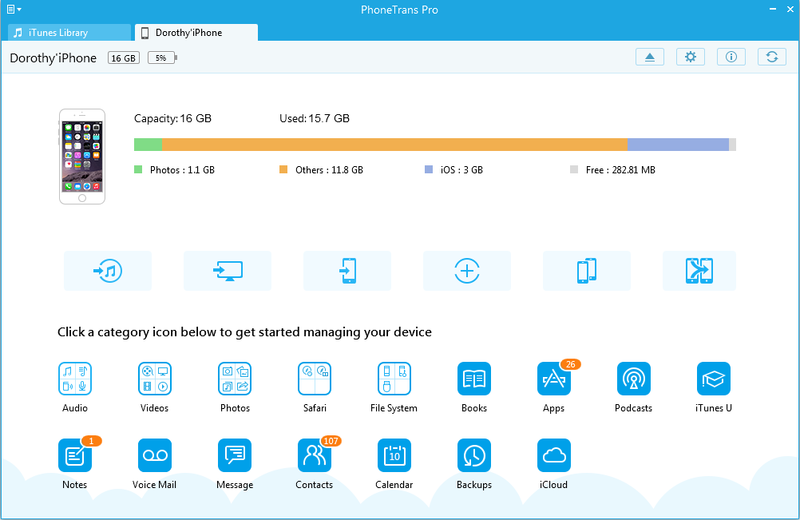 Step 1: Launching PhoneTrans Pro. Next, choose the destination files to go on your further operation. Step 2: To transfer your files to PC & Mac, all you need to do is selecting the target files and click button on the top-right corner.